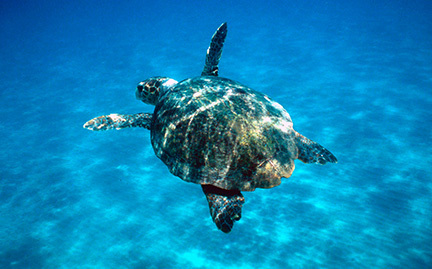 The most common turtle in the Mediterranean, loggerheads nest on beaches from Greece and Turkey to Israel and Libya. Many of their nesting beaches are at risk from tourism development. They are less likely to be hunted for their meat or their shell but are often victims of accidental capture in fishing gear because they come into contact with fisheries.